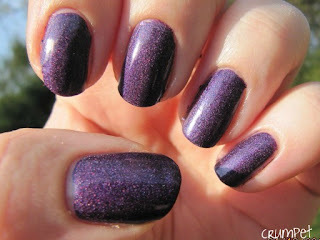 The Crumpet: Color Club WILD AT HEART - Purple Perfection? 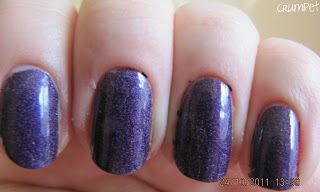 Today I’m going to tell you the story of Wild At Heart and how she may just be the most important nail varnish I ever bought! I am, by nature, a bit of a snob. I was raised on quality and the principle of “you get what you pay for”. So, when I started becoming a Polish-Aholic, I bought OPI only, and was determined no other brand would stick its inferior nose in! 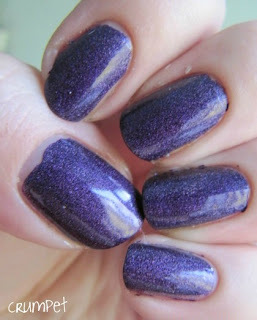 Then I branched into Zoya – still high end – and a couple of Lippmann’s – off the scale – and then started really getting into blogging. Before I knew it, TV had been replaced each night by a need for the particular type of crack pedalled by nail bloggers. 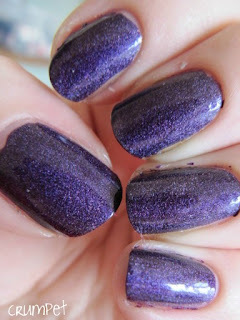 Gradually, I was forced to pay attention to the other brands, especially as they were more exciting than my OPIs and Zoyas, and gradually had to admit that if they were good enough for some of the amazing bloggers out there, surely they were good enough for me? (Plus, if you’re gonna change your mani 3 to 4 times a week anyway, does it really matter??). And really, that’s when my true addiction began and I became a multi-drug polish-aholic. I now buy all sorts of brands – the most important criteria for me is the colour, and this is where Color Club excel. 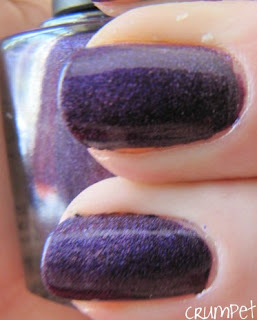 Wild At Heart is from their ALTER EGO Collection which is filled with a million amazing purples. (Color Club also taught me that unless you own every single shade of purple under the sun, IT’S OK to keep buying more). 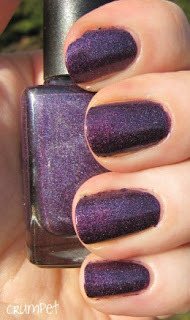 It’s purple, it’s dark, and it’s holo. Holo on a budget. Which means it doesn’t bend like Glitter Gal, but it still packs a punch. 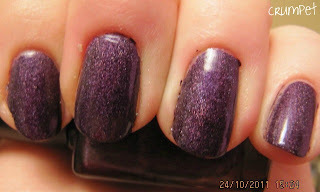 The purple base is rich, intense, royal, and decadent. The holo skims and scatters on the surface, a little like a holographic top coat. 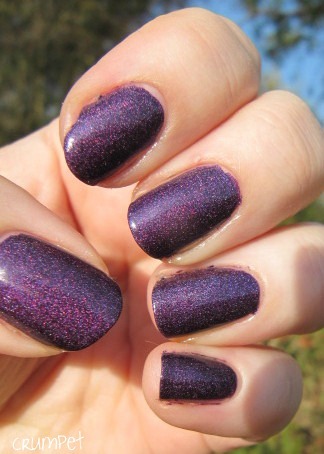 The overall effect is a deep, rich, witchy purple that dances playfully on the nail, with more brightness than its pigmentation should allow. The purple is like nothing in nature lol – it reminds me most of a purple Crayola crayon. It’s a very unnatural purple, but all the more perfect for it. If I was designing a purple, this would probably be it. Every girl should own a bottle of this. It’s devilish, decadent, and nocturnal, and it sings of purple rainbows. 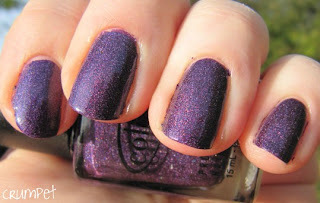 Wild At Heart IS my heart, my purple, witchy, beautiful heart.